Thanks for the link post, BIS! 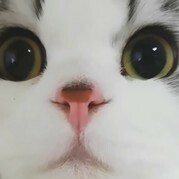 I'm just watching it right now, and I found the docco REALLY GREAT! It looks like all the doccos I watched in the past were compiled and rendered, finally showing some sort of answer towards the whole picture. Ah I know exactly what you are talking about mine says it has synchronised everything hah thats a laugh only the watcher programs not the ones I happen to want to use.. its a wonderful world. It starts to talk about Golden Mean and Fibonacci sequences from around 57 minutes into the video. The docco states Fibonacci=Golden Mean Ratio, and it occurs all around in the nature including human body. If anyone is interested in what Drunvalo said about Golden Mean and Fibonacci sequences, please read p.207~, Reconciling the Fibonacci-Binary Polarity, Ch.8, The Ancient Secret of the Flower Of Life, vol.1, Light Technology Publishing, written by Drunvalo Melchizedek. If such good docco uses the wrong info, I fear the wrong info would be totally accepted by mass...not ideal at all. The sequences of Golden Mean and Fibonacci come ever so close but they are not exactly the same. For so many years, this wrong info was used by so many people so many times, and it is still used as if that's the truth. Oh well, this can be a good example of sheeple believing in something blindly. That's why I love this site, if someone catches something they let you know (without being ignorant) and they don't expect you to take their word for it they show their sources. "British archaeologists uncovered a mysterious set of ruins beneath the same parking lot where the remains of King Richard III were found last year." A coffin within a coffin, also known as an inner coffin, was found by a team of archaeologists from the University of Leicester, England, last week. The stone coffin, which is the first fully intact one found in the area, may belong to one of three leaders from the English Grey Friars order, according to a statement. The inner lead coffin has yet to be opened. It has been sent for tests to determine the best way to open the coffin without damaging the remains within. "None of us in the team have ever seen a lead coffin within a stone coffin before,” Grey Friars site director Mathew Morris, of the University of Leicester Archaeological Services, said in a statement. “We will now need to work out how to open it safely, as we don't want to damage the contents when we are opening the lid." "Scientists speculate the remains belong to one of three leaders: Peter Swynsfeld, who died in 1272, William of Nottingham, who died in 1330, or 14th-century knight Sir William de Moton of Peckleton, who died between 1356 and 1362. "Huge meat-eating dinosaurs that stalked a vast floodplain some 150 million years ago in what is now Portugal left behind traces of their progeny: eggshells. Some of the eggshells, which belonged to two Jurassic-Era theropods, or a group of carnivorous dinosaurs, once harbored embryos of Torvosaurus, the largest predator of its day. "It was the equivalent of the T. rex in the Cretaceous," said study co-author Vasco Ribeiro, a paleontologist at the Universidade Nova de Lisboa in Portugal. Ribeiro and his colleagues aren’t sure how the eggs came to be abandoned." Mysterious domes in Siberia - radioactive UFO weapons? Our good old Chani site seems to be in the history books now. If you kind of think about it all of us experienced evolution. Our old Chani surroundings are kind of cave like now and we have moved into a modern suite. Both are warm and cosy (the old cave and our new suite) but the walls here are smoother and painted white. So congrats to all for experiencing this. You need to be alive to experience change and change is an unescapable fact of time passing so if you like being alive change is good. So simple it is but still so many who get stuck in time. Tolerance, love and respect (and other good words) are the core of it all. The hardest thing is to cope with all those seconds each and every one of us have to spare on thinking. That is our quest. To stay sane and focused on what matters all of the time. I missed this a few months back so here it is now. "Six Pagan Saxon skeletons dating back over 1,000 years have been discovered by archaeologists just a few miles from Stonehenge. Anna Kear, Aster’s regional development director for Hampshire and Wiltshire, said: “Wiltshire is a treasure trove of archaeology, drawing people from across the world. <<< is this the same Wiltshire that seems to have the most crop circle activity?? 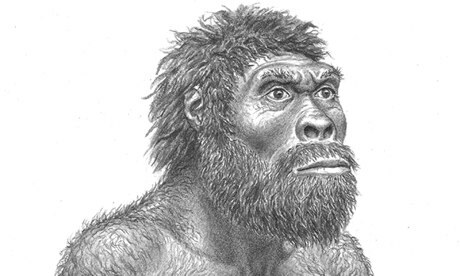 "The analysis by Lordkipanidze also casts doubt on claims that a creature called Australopithecus sediba that lived in what is now South Africa around 1.9m years ago was a direct ancestor of modern humans. The species was discovered by Lee Berger at the University of Witwatersrand. He argued that it was premature to dismiss his finding and criticised the authors for failing to compare their fossils with the remains of A sediba. "This is a fantastic and important discovery, but I don't think the evidence they have lives up to this broad claim they are making. They say this falsifies that Australopithecus sediba is the ancestor of Homo. The very simple response is, no it doesn't." "What all this screams out for is more and better specimens. 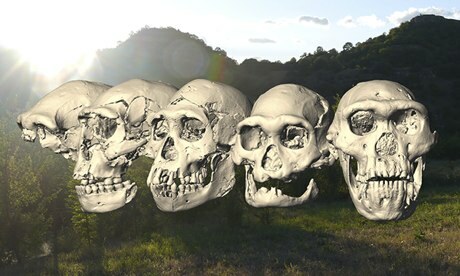 We need skeletons, more complete material, so we can look at them from head to toe," he added. "Any time a scientist says 'we've got this figured out' they are probably wrong. It's not the end of the story." This is a super thread! Thank you, Prismatic Eye, and thanks to all of the contributors to this thread also. LOS ANGELES — A nursery of bizarre-looking dinosaurs known as therizinosaurs has been found in the Gobi Desert in Mongolia. The nesting colony contained at least 17 clutches of eggs. "Not only is this the largest colony of nonavian theropods, but this is the best documented site," said study co-author Yoshitsugu Kobayashi, a vertebrate paleontologist at Hokkaido University in Japan, who presented the findings here at the 73rd annual Society of Vertebrate Paleontology conference. The finding suggests the odd little creatures were social animals. Therizinosaurs, which lived about 70 million years ago, sported huge, round guts; stumpy legs; a long neck; and a turtlelike head and beak. 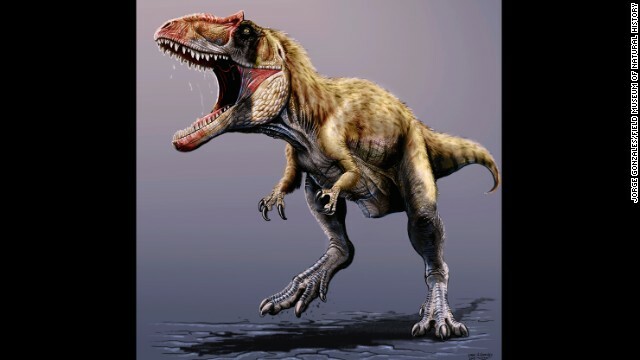 Despite being members of the carnivorous group known as theropods — which includes the deadly king of the predators Tyrannosaurus rex — the waddling dinosaurs were herbivores. They also had enormous Edward Scissorhands-like, three-digit claws that may have been used to grasp branches and scrape up plant material, similar to the way bamboo-eating pandas do today. Kobayashi and his colleagues discovered the nest while in southeastern Mongolia in 2011. On the last day of their trip, they decided to leave the area they were excavating known for therizinosaur bones to instead examine another bone bed nearby. "There aren't many bones from this formation, so we didn't expect to find anything good," Kobayashi told LiveScience. Newly discovered bacteria in the Outback could be as old as 3.5 billion years, pushing evidence of Earth’s beginnings even further back in time. Scientists have discovered possibly the earliest signs of life on Earth—remains of bacteria that are almost 3.5 billion years old—in a remote region of north-west Australia. Evidence of the complex microbial ecosystem was found in sedimentary rocks in the remote Pilbara region in Western Australia, an area which contains some of the world's oldest rock formations. One of the researchers, David Wacey, from the University of Western Australia, said the newly discovered evidence of bacteria "was possibly the oldest signs of life on Earth. "There was plenty of life from the 3.4 and 3.43 billion-year-old mark – this is pushing it further back," he told The Telegraph. 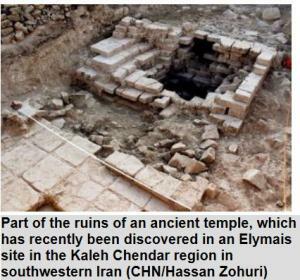 "TEHRAN -- A team of Iranian and Italian archaeologists has unearthed ruins of an ancient temple in an Elymais site in the Kaleh Chendar region in southwestern Iran, the Iranian director of the team announced on Saturday. Most parts of the structure have been built with large stones without mortar in form of a broad platform like those built at Persepolis, Jafar Mehrkian told the Persian service of CHN. The structure also includes platforms made of brick, which were usually built in the ancient temples, he added. Vito Messina of the University of Turin and a number of his colleagues accompanied the team during the excavation intended to gather information about the Elymais period, about which little is known in Iranian history, he stated." This season of excavation was carried out based on a five-year agreement between Iran and Italy under the auspices of the Iranian Center for Archaeological Research and the Archaeological Excavations and Research Center of Turin. 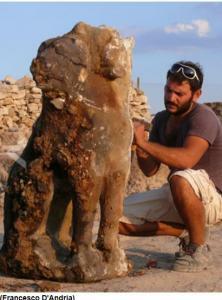 Illegal excavations by artifact smugglers are currently threatening the site. "PAMUKKALE, TURKEY—Two marble statues, one depicting the three-headed watchdog Cerberus, and the other a snake rolled onto itself, have been discovered by a team led by Francesco D’Andria of the University of Salento. These guardians of the underworld were found in the thermal springs at the site of the Plutonium, or Pluto’s Gate, in the Phrygian city of Hierapolis. The Plutonium and the city’s warm waters were popular pilgrimage sites until the rise of Christianity in the Roman Empire. Then, sometime between the fourth and sixth centuries A.D., the two statues were damaged, probably by Christian pilgrims to the tomb of Saint Philip, which was discovered in the ancient city last year. “These details show the growing conflict between the new and old cults, and the resulting marginalization of the traditional pagan religion,” explained Alister Filippini of the University of Palermo and the University of Cologne." The Field Museum of Natural History in Chicago announced the discover of a new dinsaur. The siats meekororum was a 30-foot-long top predator, similar to, but not closely related to, a Tyrannosaurs. "CNN) -- It lived about 100 million years ago, weighed four tons and likely was at the very top of its prehistoric food chain. Researchers from Chicago's Field Museum, the North Carolina Museum of Natural Sciences and North Carolina State University announced Friday the discovery of Siats meekerorum, a dinosaur that stretched more than 30 feet long, in eastern Utah. Given its size and other characteristics, they believe this creature ruled its ecosystem in the middle of the Cretaceous, a period known as the last in the so-called "Age of Dinosaurs." It's not known if Siats meekerorum existed alongside Tyrannosaurus rex; fossils found from the same patch of Utah's Cedar Mountain Formation shows it did share the land with tyrannosaurs. But relatively speaking, these tyrannosaurs were much smaller (and below the 7 or so tons of later T. Rexes) and definitely down on the predatory food chain. "At least 98 million years ago, we know that (tyrannosaurs) were small and somebody else was top dog in the neighborhood," said Peter Makovicky, The Field Museum's dinosaur curator. "(Siats meekerorum) is a large dinosaur," he adds. "And we have no evidence -- nor do the teams that worked in this area prior to us -- of anything bigger." Its size and appearance alone are reason enough to excite paleontologists. But there are a few other facts that make this find noteworthy, said Makovicky." Archaeologists think construction on this ancient building started in the early second century B.C. and continued into the Hasmonean period. 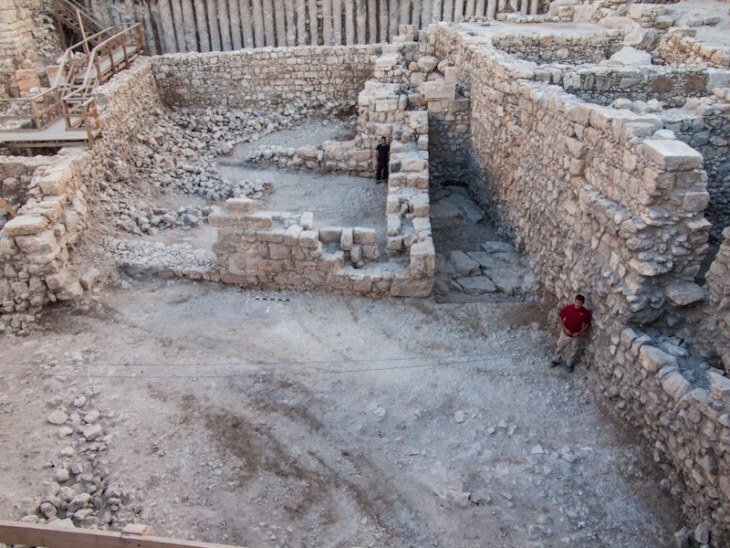 "Archaeologists have discovered the first ruins of a building from the Hasmonean period in Jerusalem, filling a gap in the ancient city's history, the Israeli Antiquities Authority (IAA) announced. The building's remains were uncovered during an extensive dig at the Givati Parking Lot, located in Jerusalem's oldest neighborhood, the City of David. Excavations over several years at the site have turned up some remarkable finds, including a building from the Second Temple period that may have belonged to Queen Helene, a trove of coins from the Byzantine period, and recently, a 1,700-year-old curse tablet in the ruins of a Roman mansion. 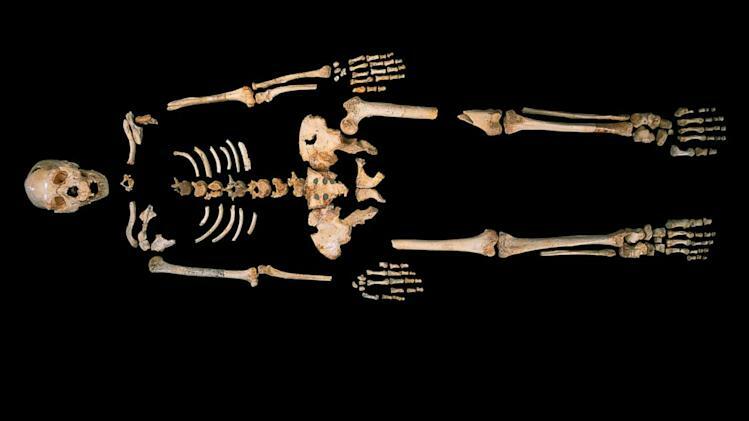 "Researchers have uncovered a new clue about human origins after discovering the oldest known human DNA in a legendary Spanish archeological site called Sima de los Huesos, or the "Pit of Bones." Researchers were able to extract DNA from a leg bone that was estimated to be 400,000 years old. After extracting the DNA from a femur bone, Matthias Meyer, who published his findings in a study in the journal Nature, was able to replicate the entire genome for the ancient human relative. The genetic sequence surprised researchers, who thought it was likely that the sequence would reveal that remains were related to the Neanderthals. Instead, the genetic sequence revealed that this early human species is related to another genetic cousin of modern humans,the mysterious Denisovans. Little is known about the Denisovans, who are thought to have been common throughout the regions now known as Asia and Eastern Europe. This early human species was discovered after genetic sequencing was used to map DNA through the ancient pinkie bone of a girl in 2010. I am still really blown away how 99% of the population have no idea these giant skeletons of previous inhabitants have been found all over the planet. Yes, these find are reported in lots of scientific journals that very few people actually read and mainstream media makes sure it doesn't get out to unsuspecting public. If you tried to talk to anyone about these giant skeletons they would think you were in the world of fairy tales. Oh, how easy it is to keep the sheeple unaware. "Over half a century ago, deep in the jungles of Guatemala, a gigantic stone head was uncovered. The face had fine features, thin lips and large nose and its face was directed up at the sky. Unusually, the face demonstrated Caucasian features which were not consistent with any of the pre-Hispanic races of America. The discovery rapidly attracted attention, but just as quickly it slipped away into the pages of forgotten history. The destruction of the head meant the story died a rapid death until it was picked up again a few years ago by filmmakers behind “Revelations of the Mayans 2012 and Beyond” who used the photograph to claim that extra-terrestrials have had contact with past civilisations. The producer published a document written by Guatemalan archaeologist Hector E Majia who wrote: "I certify that this monument presents no characteristics of Maya, Nahuatl, Olmec or any other pre-Hispanic civilization. It was created by an extraordinary and superior civilization with awesome knowledge of which there is no record of existence on this planet." IF you go to the first 2 coordinates listed on the picture on google earth, 76'41'N x 93'51'W and turn N so it's in about a 7 o'clock position you will see this for yourself. 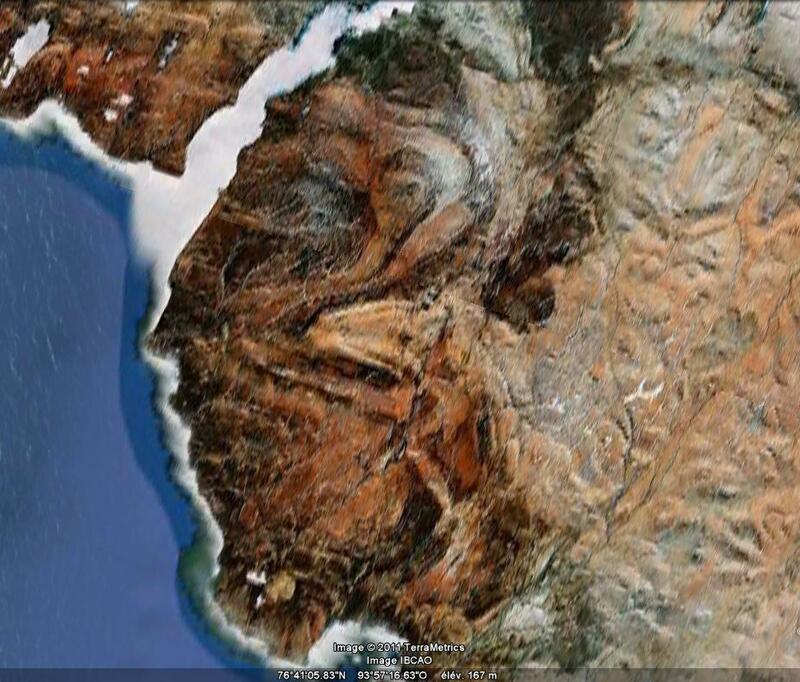 It is W of Greenland in those islands and shows in green, not brown, but it is there, I found it with some fooling around. You really have to zoom in too. 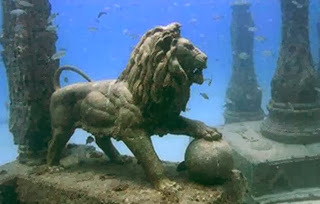 "For centuries, Heracleion was believed to be a legend, much like the fabled city of Atlantis. 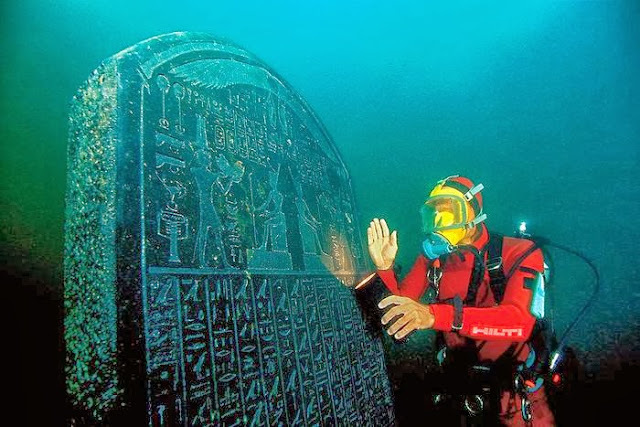 But in 2000, underwater archaeologist Dr Franck Goddio was searching the Egyptian coastline for French warships from the 18th century battle of the Nile, but instead stumbled across the treasures of the lost city. 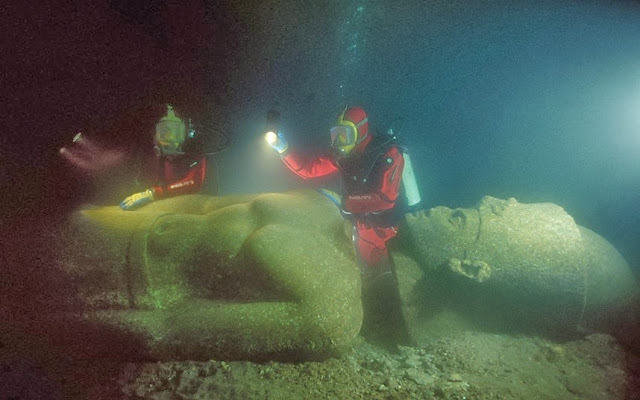 After removing layers of sand and mud, divers discovered evidence of extraordinary wealth, painting a picture of what life was like in Heracleion, believed to have been at the centre of Mediterranean trade more than 1,000 years ago." More images available via the link provided in the article. This is such a no brainer to me, but it's nice to see it making mainstream news....hopefully soon they will stop teaching this Captain Cook nonsence at school. Pretty much everyone came to Oz before Cook.....he knew that, because he had a map he was following. This amazing artifact clearly shows that our ancestors were far ahead of their time. In fact they were so advanced that they may even have been inventors of what we todaly call nanotechnology. Examination of the a 1,600-year-old Roman chalice at the British Museum, known as the Lycurgus Cup reveals ancient Romans were familiar nanotechnology. The scene on the cup depicts an episode from the myth of Lycurgus, a king of the Thracians (around 800 BC). A man of violent temper, he attacked Dionysos and one of his maenads, Ambrosia. Ambrosia called out to Mother Earth, who transformed her into a vine. She then coiled herself about the king, and held him captive. The cup shows this moment when Lycurgus is entrapped by the branches of the vine, while Dionysos, a Pan and a satyr torment him for his evil behaviour. It has been thought that the theme of this myth - the triumph of Dionysos over Lycurgus - might have been chosen to refer to a contemporary political event, the defeat of the emperor Licinius (reigned AD 308-24) by Constantine in AD 324. The Lycurgus Cup exhibits a color-changing property that makes its glass take on different hues, depending on the light source. The changes of the colors have been a scientific mystery for a very long time. A research team is now attempting to build upon the unique technology and apply it in the medical field.